This handsome young man is our Nashood. He likes to have his hair looking just right as he is known for saying, “Oh my God!” after every haircut. Nashood has spent nearly his whole life in foster care and is ready to embrace a new life with his forever family. He needs a family that will love music and talking as much as he does, while also understanding that Nashood needs significant care. He faces the challenges of Cerebral Palsy, among other things. 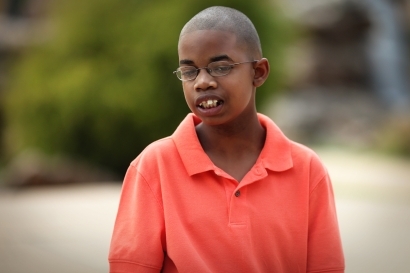 Despite these challenges, Nashood is still a thriving and sweet young man. If you are interested in Nashood consider yogurt and some gummies to win his heart. Feel free to inquire below to be Nashood’s forever family and offer him a new life.